Soup is my cop out. I can cover all of the nutritional bases and still only wash one pot and perhaps a cutting board afterwards. It’s low maintenance cooking at its best. Like many of you out there in TV land, I am responsible for providing sustenance to my family on a daily basis. I have to come up with a plan, do the shopping, and, hopefully, at the end of the day produce a tasty and reasonably healthy meal. But on occasion, work drains your soul, or errands drag on longer than expected, or there is something really good on television and the very thought of putting together a 3-course meal makes your eyes run green and consider throwing anyone who asks about dinner out the window. You are not alone. The solution is soup. 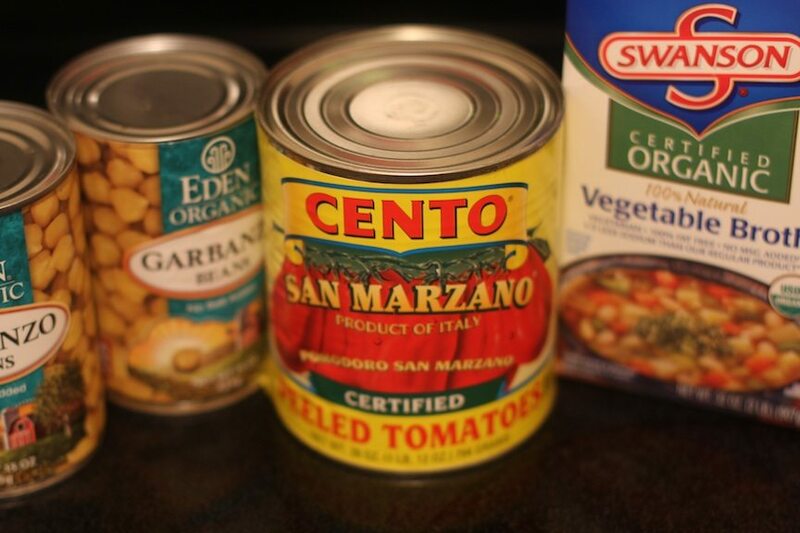 Soup can be made ahead. It can be made in bulk, meaning more meals you don’t have to make. You can pack your soup full of veggies (and meat if you are into that kind of thing). And most importantly, there is little dishwashing involved. The hardest part is deciding what kind to make. You could try fire-roasted eggplant and tomato, or spicy paprika and cauliflower, or something with peas or coconut milk, or a mixture of whatever is on the verge of rotting in your fridge. 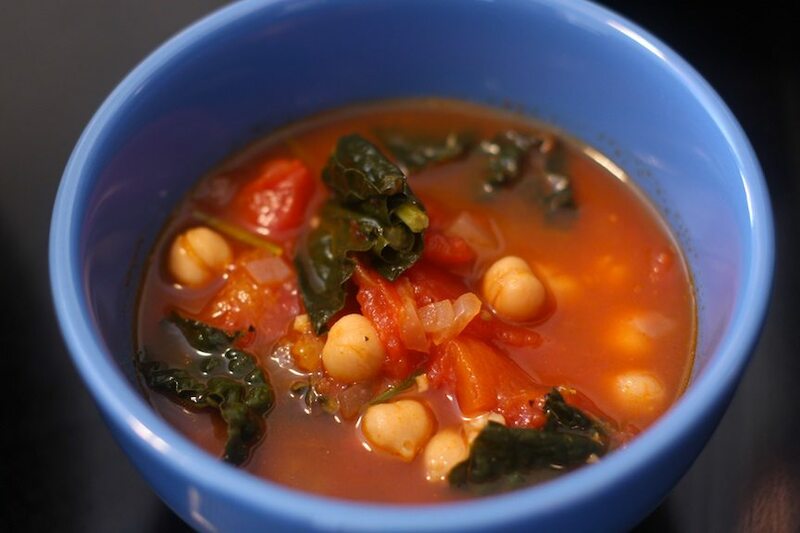 Lately, I’ve been particularly infatuated with a shockingly easy-to-make soup of kale, San Marzano tomatoes and chickpeas. Super simple, little chopping, ready in 30m. 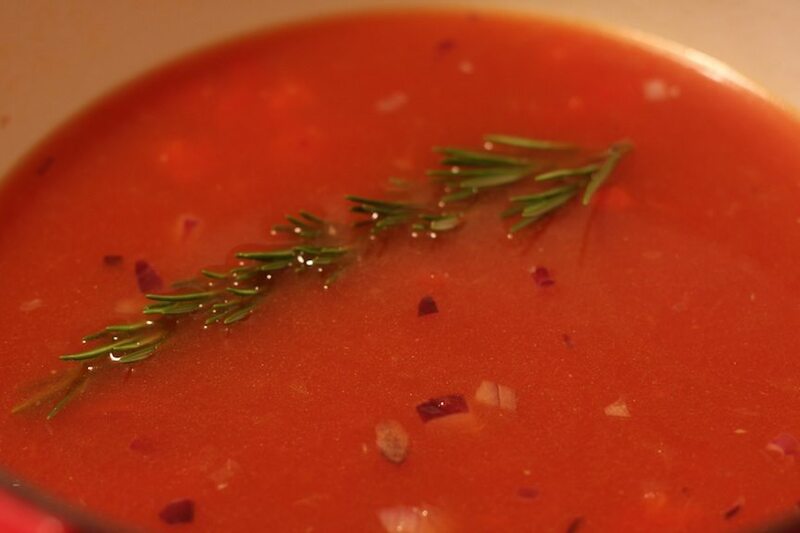 The kale slowly cooks in vegetable stock with sweet Italian tomatoes, rosemary, garlic and onion. Chickpeas give the soup a bit of meat for when oxtail just won’t do. What is your favorite cop out meal? Heat oil on medium heat. Add onions and cook until translucent and soft, about 5m. Add garlic and cook for 1m. Add the stock, rosemary and kale. For the tomatoes, hand crush the tomatoes as you add them. 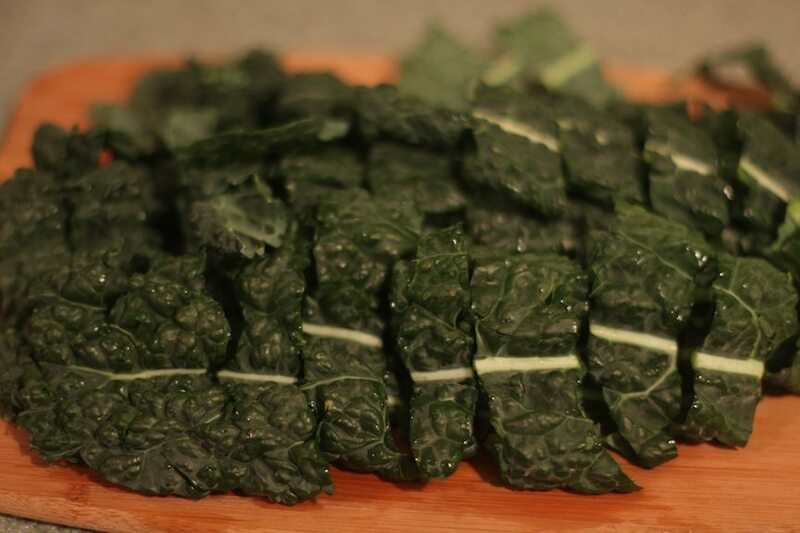 Bring soup to a simmer and cook for 20m to soften the kale. Remove rosemary sprig. Add chickpeas, salt and pepper. Cook for another 5m. If you are feeling saucy, sprinkle a little parm on top. I LOVE soup! so easy to make 🙂 and I agree with all your reasons. my go-to soup right now is hoppin john. loving it! but I do like kale and chickpeas so I need to try this recipe soon. Kale is fantastic!Thanks for the soup recipe! I agree with you completely. Having a job to go to and a husband and children to look after, it can become really tedious to cook meal three times a day. yet the health aspects should be covered primarily. Absolutely. It's a daily challenge, but we always have to remember it's possible to cook healthy in a low maintenance way.